This Welder job description template includes the list of most important Welder's duties and responsibilities. It is customizable and ready to post to job boards. Use it to save time, attract qualified candidates and hire best employees. 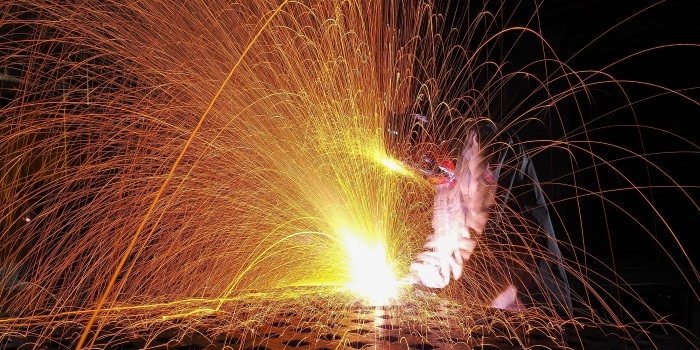 Welders usually have a background in residential fittings and welds, from light fixtures to duct work. They can work on-site as well as in-house to complete jobs for customers on time and on budget. In order to attract Welder that best matches your needs, it is very important to write a clear and precise Welder job description. We are looking for an experienced and skilled Welder to join our team! As our Welder, you will be responsible for cutting and joining metals and other materials at our facilities or construction sites. You will be working wit the latest technology and equipment to put together mechanical structures or parts with a great deal of precision. Use this Welder job description and post it to multiple job boards!